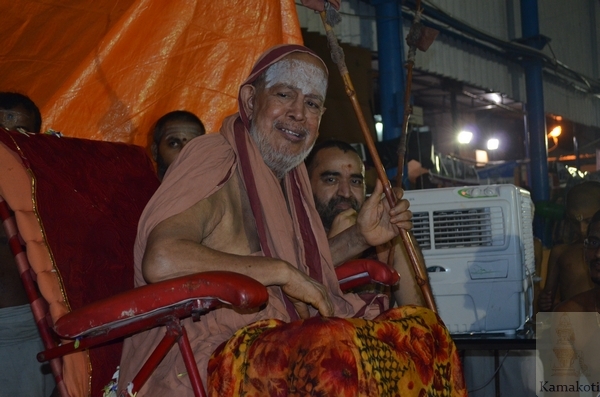 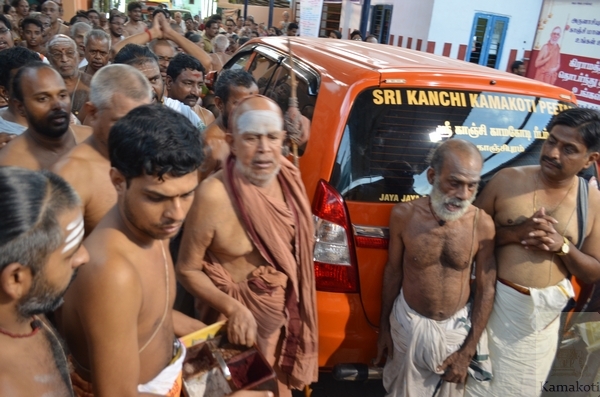 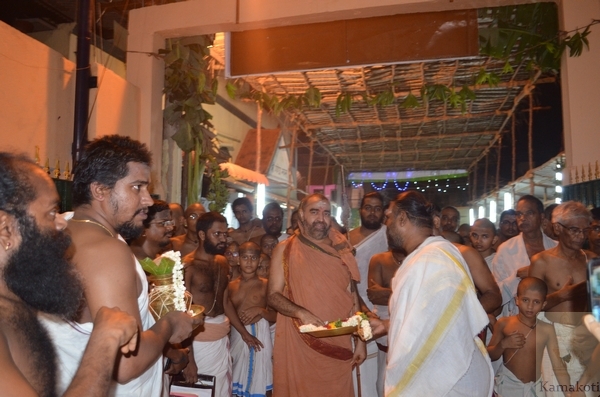 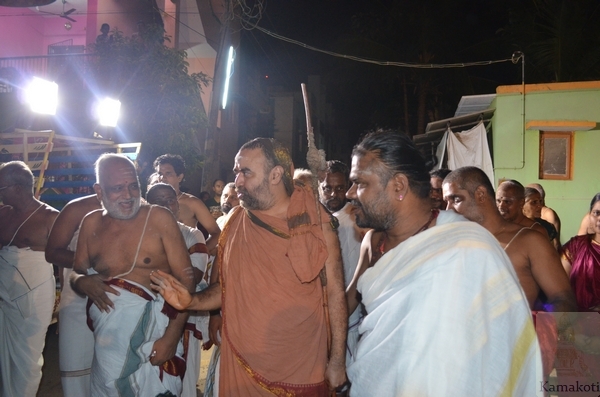 His Holiness Pujya Shri Jayendra Saraswathi Shankaracharya Swamigal arrived on Sunday from Vijayawada. 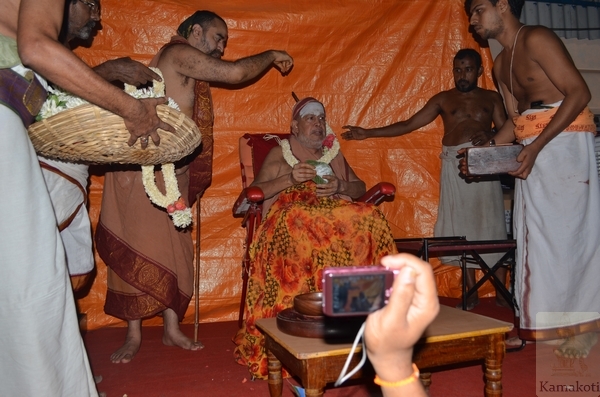 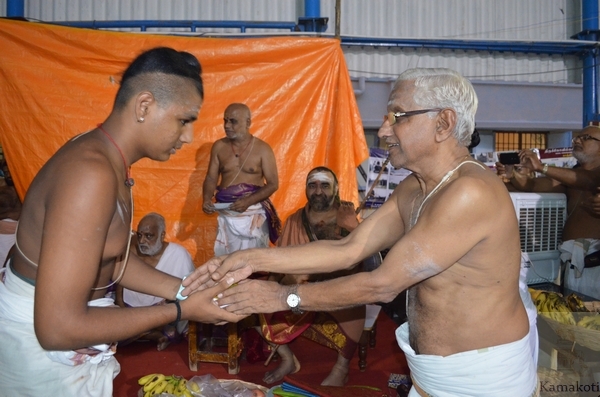 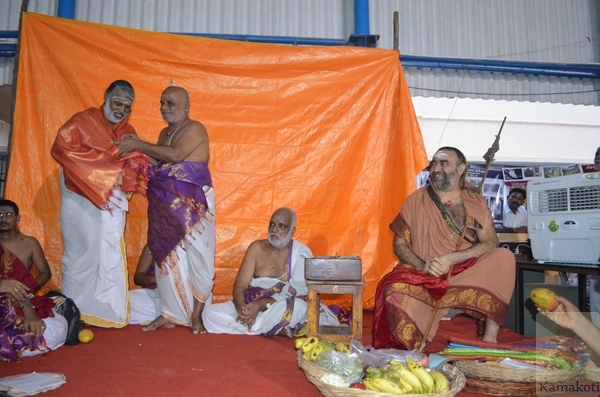 His Holiness was received and a special function to commomerate the Shatabhisheka Jayanthi Mahotsavam was arranged. 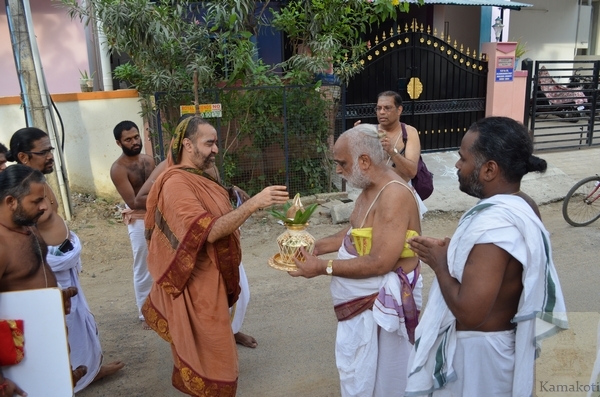 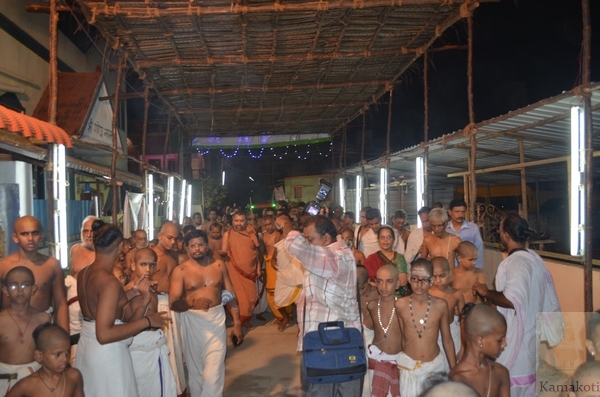 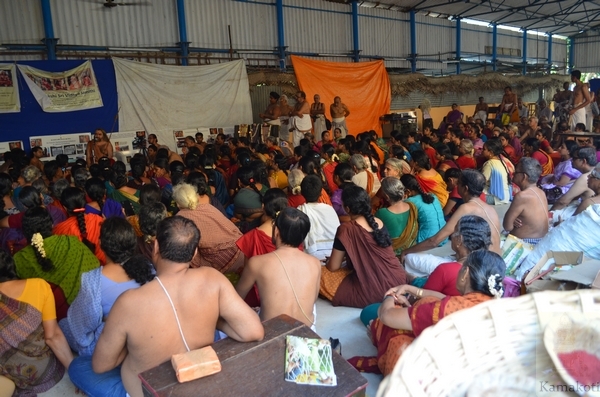 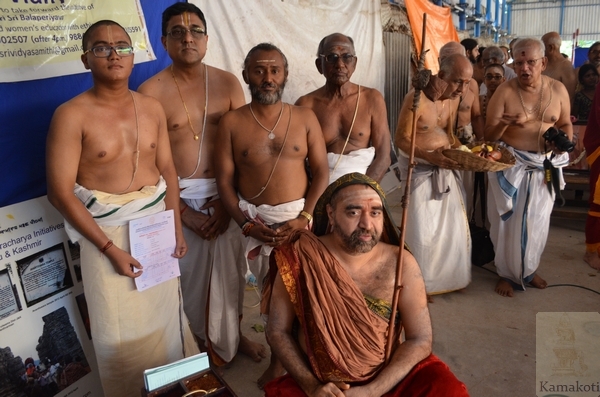 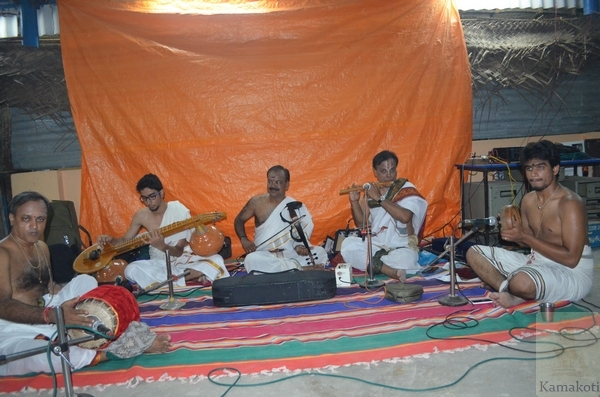 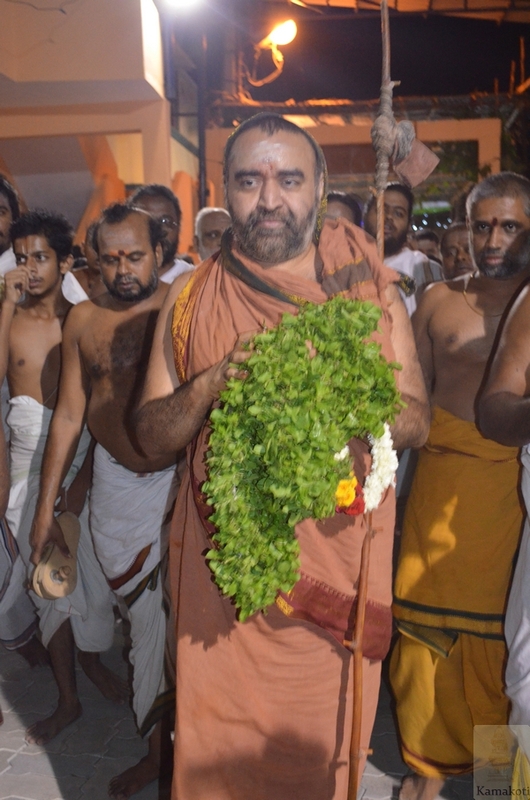 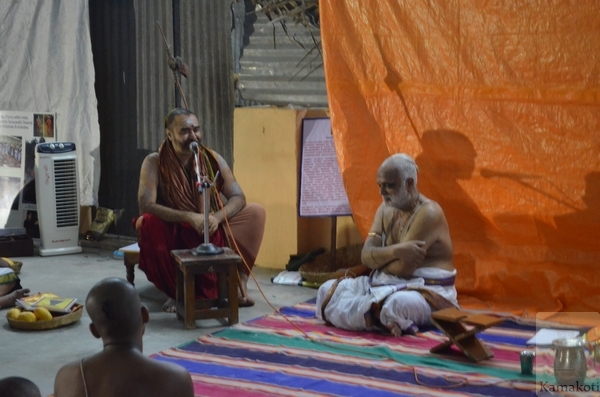 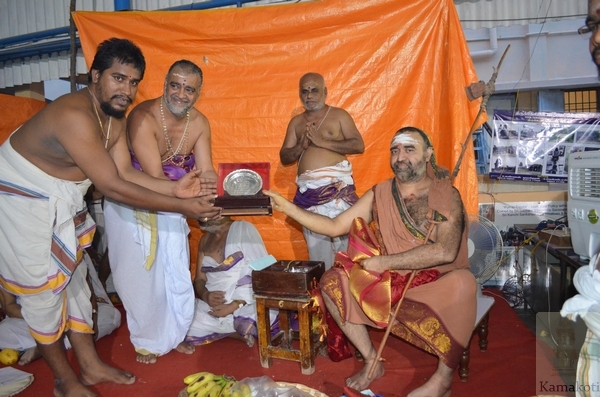 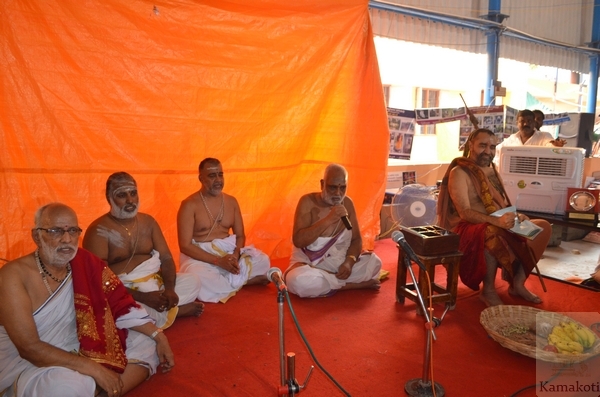 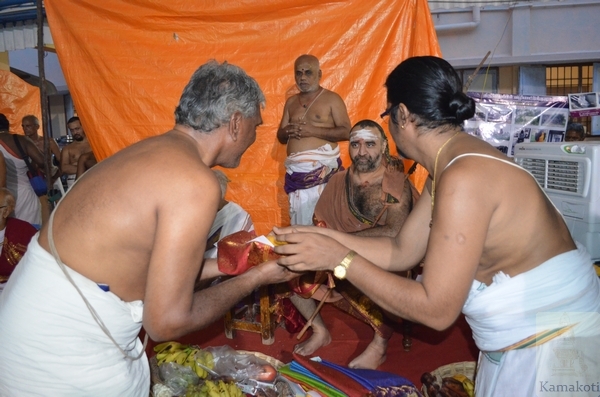 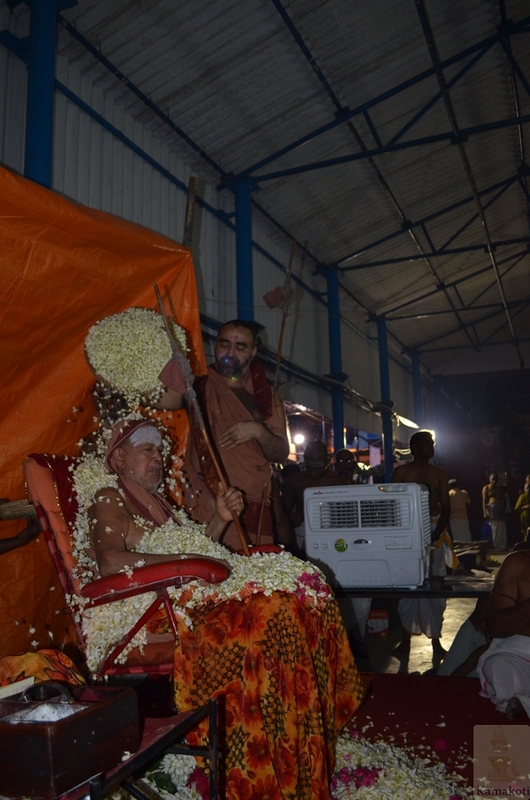 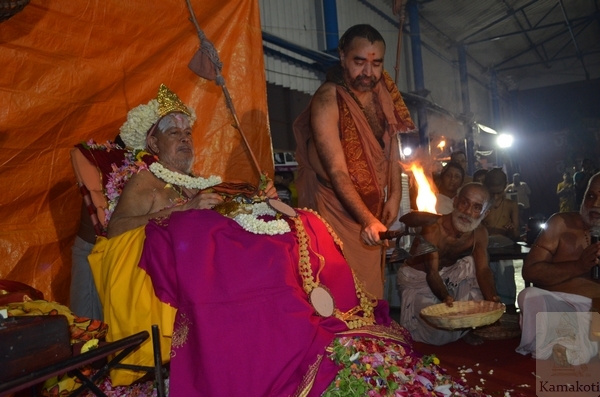 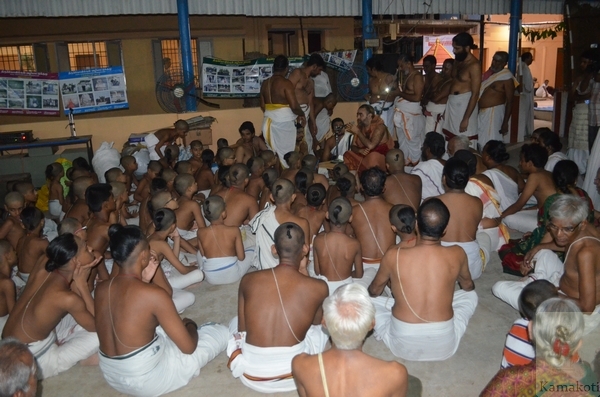 Pushpabhishekam was performed by His Holiness Bala Periyava amidst chanting of Veda Mantras. 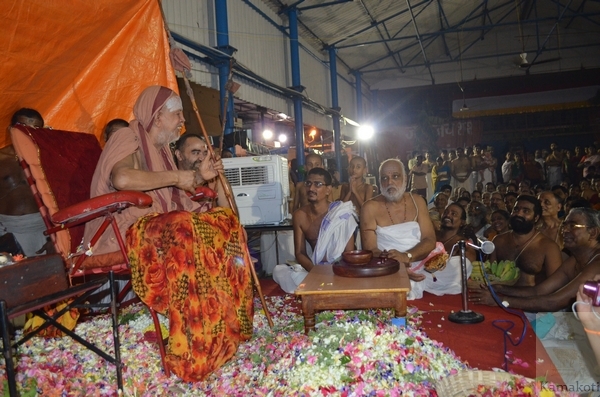 Speaking on the occasion His Holiness observed that Veda Dharma must be protected and nurtured for Loka Kshema and blessed the gathering. 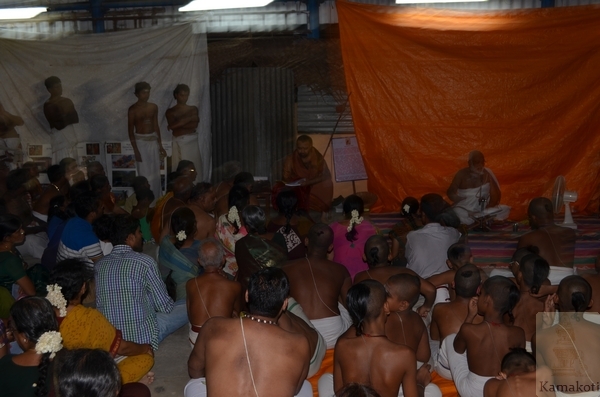 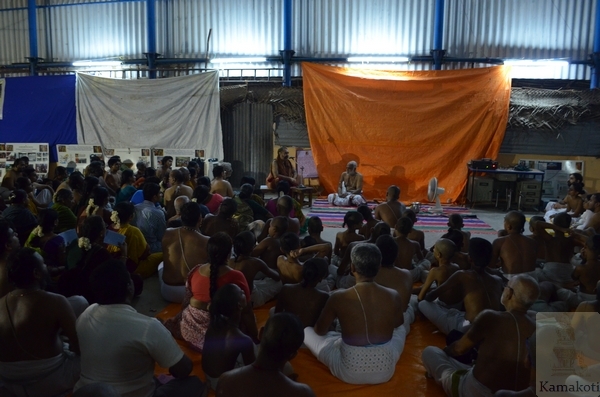 Earlier Shri Shiva Shastry, Pradhana Adhyapak of the Pathashala told the gathering about how the Pathashala was established and being nurtured with the blessings of the Acharyas of Shri Kanchi Kamakoti Peetham and sought their blessings for further development of the Pathashala. 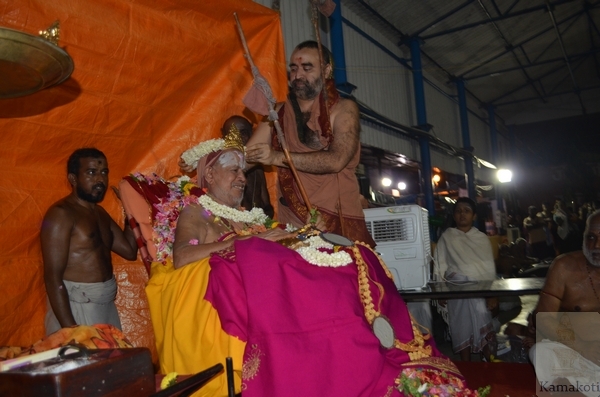 Yesterday the annual day function of the Pathashala was organised in the divine presence of His Holiness. 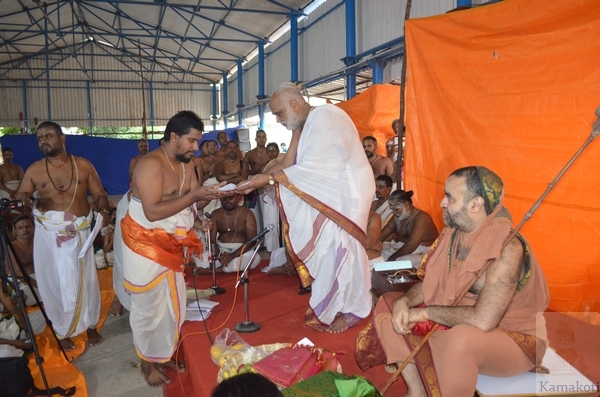 Teachers, passouts and students were awarded for various achievements. 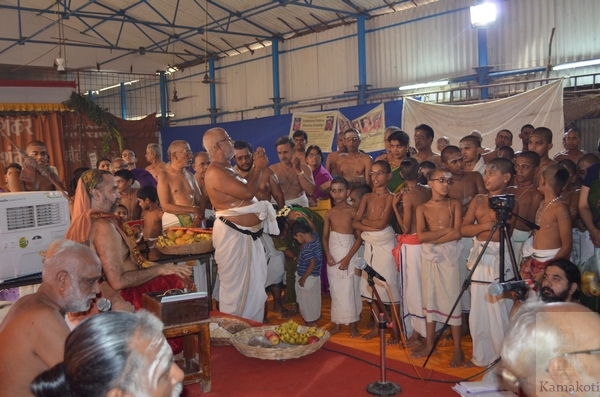 His Holiness spoke on the occasion. 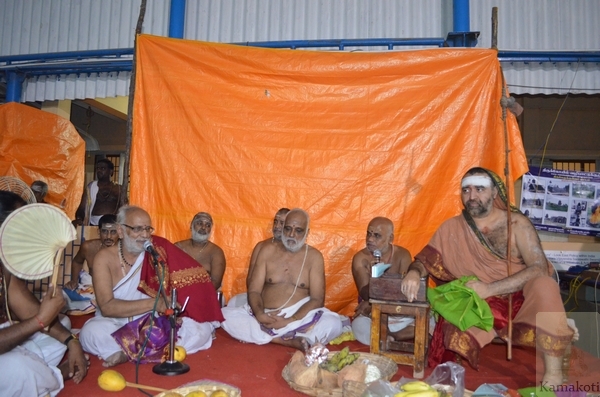 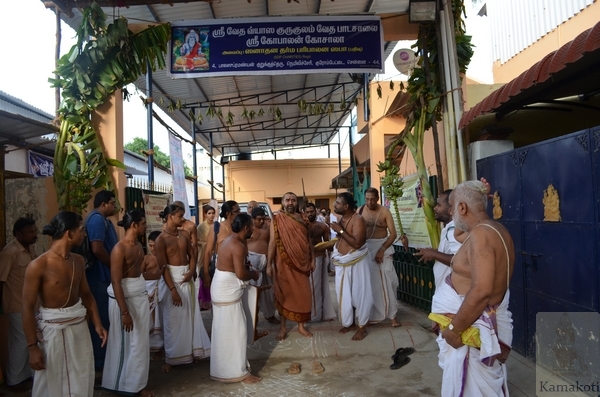 Several senior Vidwans participated in the function. 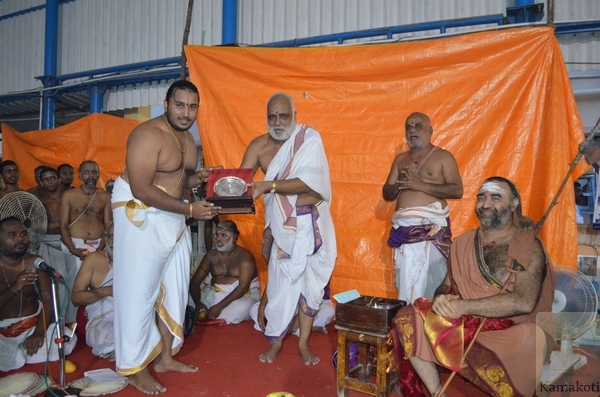 Those associated with the Pathashala like cook, office staff, goshala staff, donors were honoured on the occasion and their service commended.